You are here: Home / Meet Jack / What is Williams Syndrome? Williams Syndrome is a genetic condition this is present at birth and can affect anyone. It is characterized by medical problems, including cardiovascular disease, developmental delays, and learning disabilities. These often occur side by side with striking verbal abilities, highly social personalities and an affinity for music. Unlike disorders that can make connecting with your child difficult, children with Williams Syndrome tend to be social, friendly and endearing. Colin is definitely all of those things! 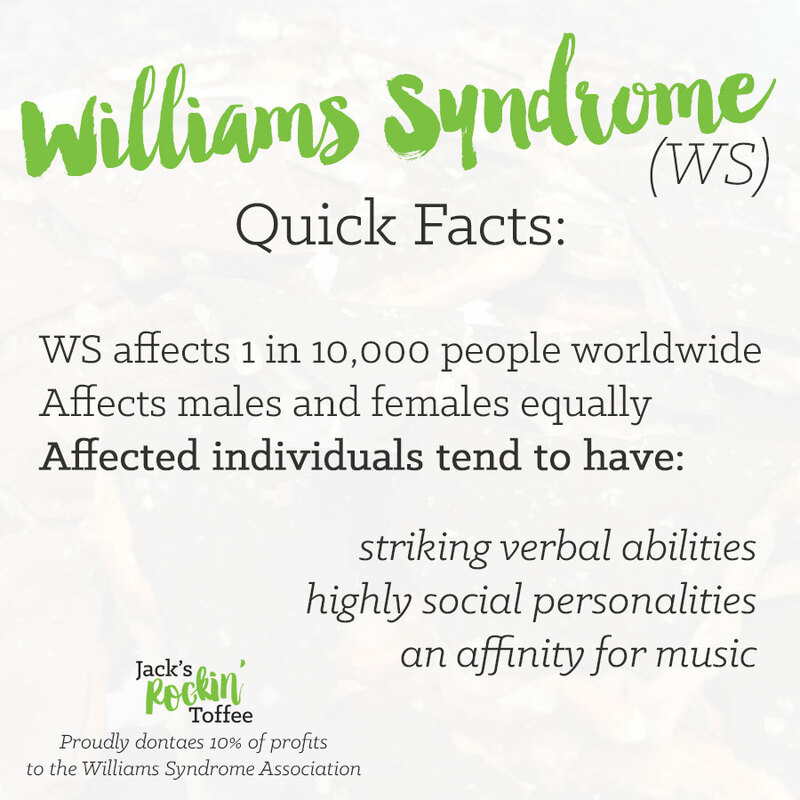 You can learn more about Williams Syndrome at www.williams-syndrome.org.